Coventry Homes is located at 537 West Fork Webster, TX 77598, and has home prices starting from the $230's . Situated on the banks of Clear Creek, Edgewater offers an urban waterfront experience that also enables residents to explore the natural environment with nature trails leading to a 35 acre nature preserve. With luxurious surroundings in a classic town setting Edgewater is the perfect spot for your beautiful new Coventry Homes! Edgewater is a community that will offer a one-of-a-kind lifestyle of carefree waterside living with proposed resort-style amenities including formal gardens with a terraced reflecting pool, sparkling fountains, private canals, and a town center with retail. Residents will enjoy a marina with a custom designed club house, lakes, and lush landscaping . Live your dreams in this waterfront retreat that is Edgewater in your new Coventry Homes! These are a few of the standard features in Coventry Homes in Edgewater. Amazing James Hardie® masonry siding, soffit and fascia. Termite and flame resistant. Our homes are engineered, inspected and certified to meet the minimum 120 mph wind speed requirements of the International Residential Code. The use of special clips, straps and anchors in the construction of our homes creates added peace of mind and protection for you and your family living on the Gulf Coast. We are so confident in the quality of our homes, we offer a 2-year warranty on materials and workmanship and a 10-year structural warranty providing you with the added assurance and peace of mind that your new home will deliver the value and enjoyment you deserve. Find out how you can get $1000's (thousands) of dollars in free upgrades! 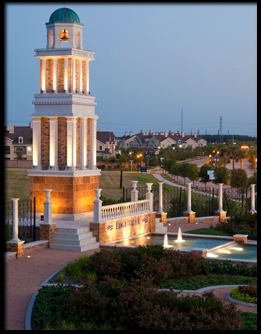 A 538-acre master-planned community, inspired by the Mediterranean Coast, located along NASA Pkwy and I-45. 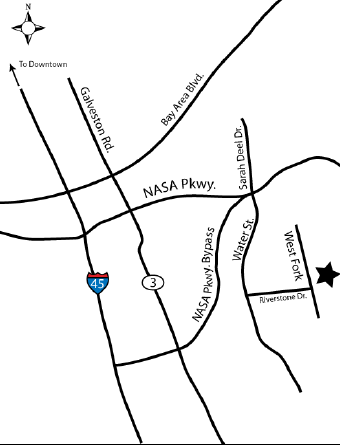 Easy access to the new NASA Pkwy Bypass, NASA's Johnson Space Center, I-45, Downtown Houston and the Medical Center. Close proximity to Restaurant Row on the Kemah Waterfront, Big League Dreams Sports Park, and beaches, plus public and private golf courses nearby. Just a short distance to Clear Lake & Galveston Island. Proposed resort-style amenities include formal gardens with a terraced reflecting pool and sparkling fountains, private canals, and a town center with retail. For those who enjoy the natural environment, this community will feature a 35-acre nature preserve, which will include boardwalks through undisturbed wetlands. Perfect for bird watching or a chance to explore the natural environment of the Clear Creek Preserve. Future Development plans include a Marina with a waterside clubhouse will grant access to Clear Creek, to Clear Lake, to Galveston Bay and the Gulf of Mexico. It will also be able to accommodate up to 50 foot power boats. Perfect for those who enjoy the lifestyle of carefree waterside living. Built on the last available land with water access for large Boats. For More information on Edgewater Please Visit The Bly Team or to View More Blogs on Edgewater Please Visit Deb's Blogs.